Are you using mobile marketing for your MLM business? Don’t miss out on getting more prospects through a solid mobile marketing strategy. Did you know that 52% of traffic on the Internet comes from mobile devices? What if you could use your smart phone to get more customers and business partners for your network marketing business? 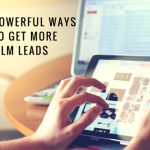 Of course traditional methods and other online marketing strategies work great to get more leads, you can take just a few extra steps to increase your mobile market reach. Check out these solutions to improve your mobile marketing campaign. With the majority of prospects using smart phones, make sure all your marketing strategies are mobile friendly. For example, if you have a website or blog, you can check to make sure it’s mobile-friendly. You want people to be able to navigate it, right? Testing your blog and other online elements like forms or payment systems is a must to make sure they work well on mobile. Although you can use Google Chrome or Firefox to test compatibility, the best way to test compatibility is to use the real device. If you don’t own various mobile devices, ask friends and family to test your site on their phones or tablets. Make it part of your strategy to provide mobile visitors with a clean, easy to navigate website. People spend a lot of time on their smartphones and tablets these days. They tend to stay with their favorite sites and are repeat visitors. 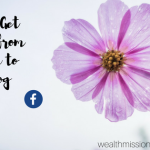 To target those potential prospects that don’t venture far from their favorite sites, you can use paid social media advertising. For example, you can use Facebook’s mobile ad platform or Twitter’s promoted tweets to target mobile users for your MLM. These ad campaigns should strictly be set for mobile devices. Learn more about Facebook’s mobile lead generation ads here. Are you still using flyers, postcards, brochures and other print advertising? It still works, you know! You can easily add a QR code image to any print ads as a way to improve your mobile marketing strategy. What is a QR code? It is a square images can be scanned by a mobile device that has both a camera and Internet access. After scanning the code, the user is automatically directed to a URL. Essentially, these are links that can be scanned and they’re free to generate. Have you ever given a gift or other reward to new customers? I have and it works like a charm! Create a special promotion to drive sales for mobile users. In network marketing, you can easily give a small gift when they make a purchase of a certain amount. People on mobile devices don’t have time to mess around. You want to keep your marketing and content simple and direct. Don’t hesitate to include a call to action or shorten your content. Whenever you write sales copy for a mobile campaign, remember that less is more. Remind yourself to hurry up and get to the point. Mobile marketing for your network marketing business can help you get more leads and customers. Most people are on their phones! I already said that but it’s worth mentioning again. 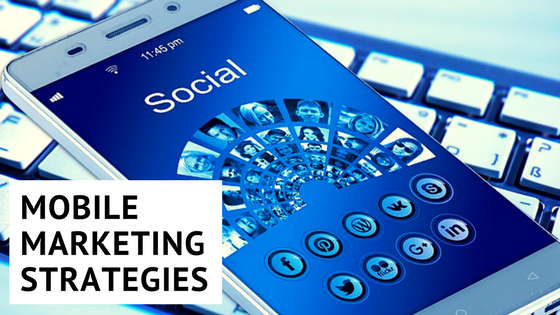 Use these suggestions as a way to get started with improving your mobile marketing strategies. To access even more powerful tips to gain more leads via mobile marketing click here.